Jon Hillman is from Ladysmith, WI. He has a wife Brooke, and two sons, Dylan and Chase, as well as a daughter, Breann. 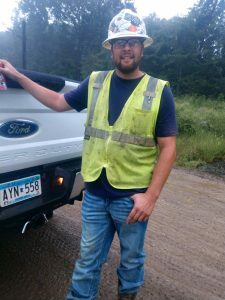 Jon started working for Dan Baillargeon, UPI HDD General Manager, at the age of 17 and has been on all sizes of drilling rigs for several different companies. 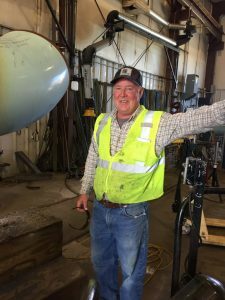 He came to UPI through the PUSH Horizontal Directional Drilling acquisition and has been with us for 18 months now. One of his best experiences with UPI was going from 2 rigs to 6 six rigs in just a few months. Jon’s future plans are to keep growing the HDD Division. Scott Maki lives in Esko, MN where he was born and raised. He has a wife Melanie, a son Torey (27) who is a Pipefitter at UPI and a daughter Morgan (30) who lives in the Twin Cities. Scott is the Fab Shop General Foreman at the Duluth location. He has worked for UPI for over 17 years and has been in the trades for over 34 years. He was hired through the Local 11 Union Hall, back when the shop was first starting out. One of Scott’s best memories with UPI is when he worked with a good friend of his, the late Steve Shannon at the Deer River Pumping Station where they rented a cabin on Chase Lake that was within 3 miles of their job site, which was extra beneficial as it allowed them to enjoy some fishing after hours. Some of Scott’s hobbies include fishing, hunting, shooting sporting clays, golfing, taking his pontoon out and flying his Kitfox Model 5 Floatplane. His future plans are to retire, travel south and spend more time enjoying his various hobbies. A unique fun fact (between father & son) is that the hunting shack is still “Dad’s” shack.